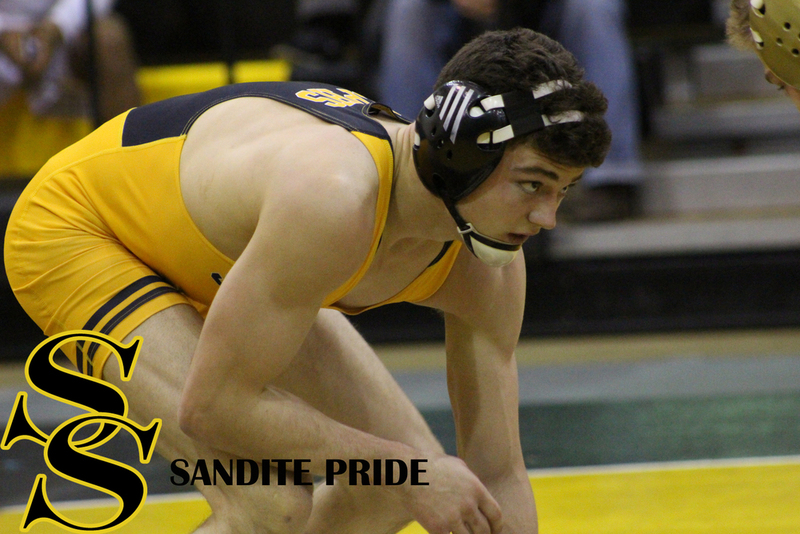 The Sandites had two wrestlers at 126. 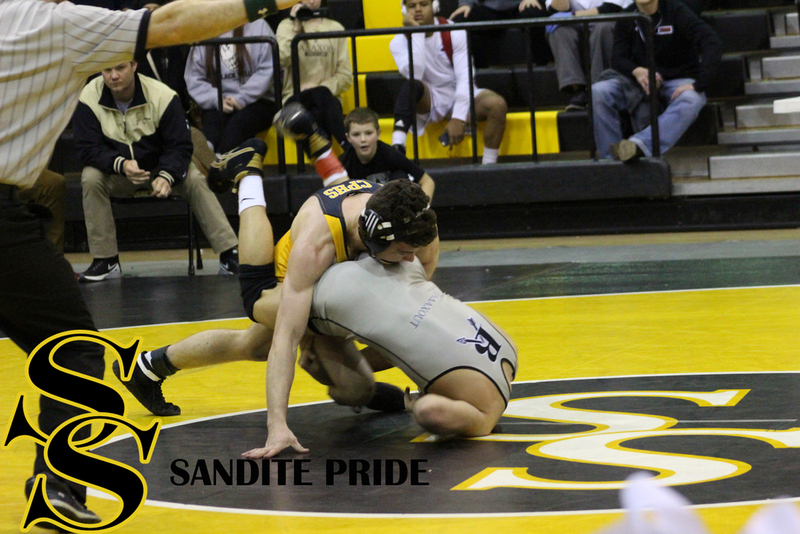 Wrestling unattached and making his season varsity debut was Ian Baustert (0-2) who was pinned in 3:27 by Grapevine, Texas's Samuel Hodges, and defeated by 6-2 decision by Kyle Jones of Oologah. 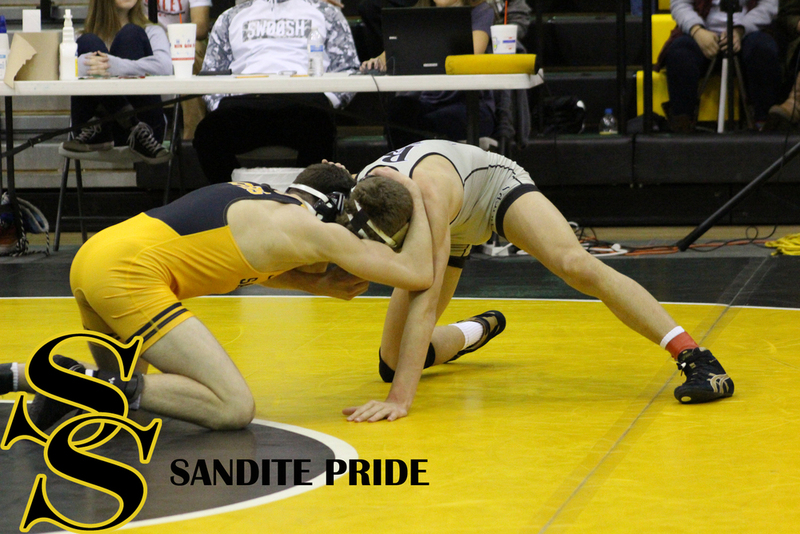 Also at 126 was #1 Jack Karstetter (21-6) who made quick work of Sapulpa's Tanner Frew, pinning him in 1:12, then beating that time with a 0:33 pin of Jones. 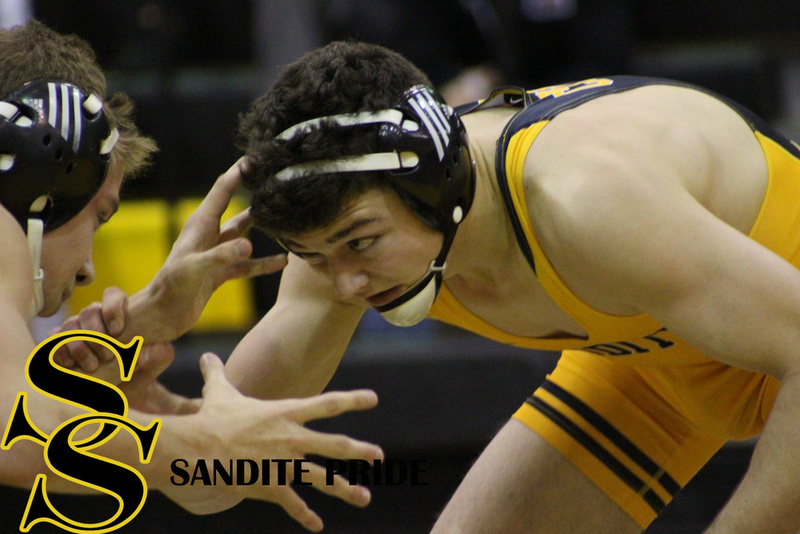 His next match was a lot closer, only a 6-3 decision over 3A state qualifier and fellow Team BIG member Louden Akin of Sperry. 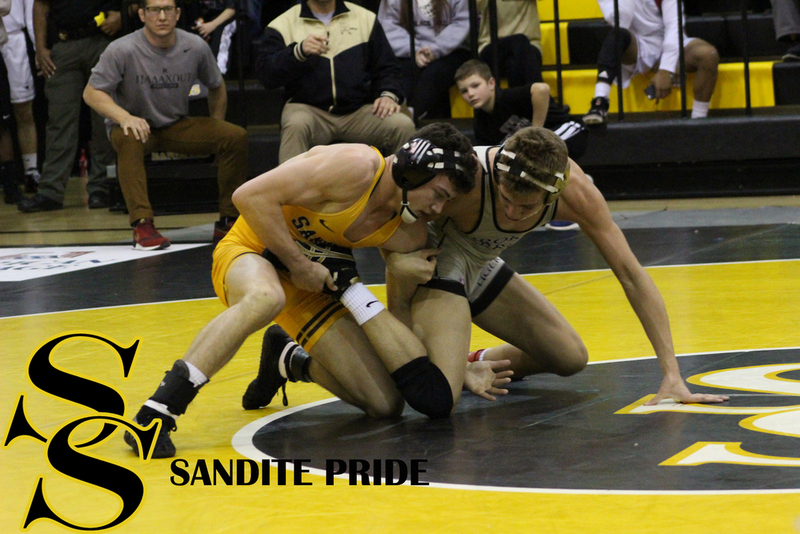 It was more than enough to earn him his way to the finals, however, where he would get a rematch against Broken Arrow's #4 Brady Mattioda. 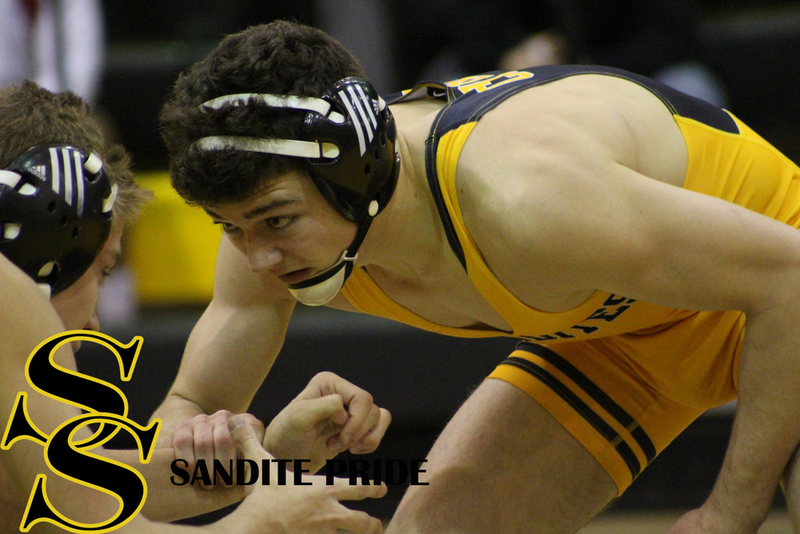 Mattioda came ready to battle, and tied him 1-1 to force overtime. The two had met thrice before, each time Karstetter came out on top by major decision. This time it was a close 3-1 sudden victory, but Karstetter still got the win and the first place finish.